Welcome to The Botanical Gardens at Asheville! 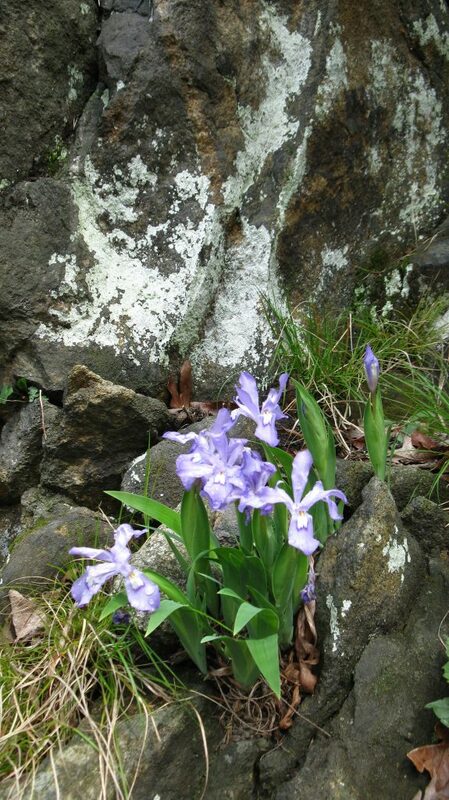 Our native plant collection includes more than 600 species native to the Southern Appalachians. These include many species of trees, shrubs, wildflowers, vines, grasses and sedges. The Gardens has a full collection of native pine, magnolia and birch trees. Habitats vary from the sunny and dry to the shaded and wet, allowing many suitable niche species. We have more than 70 species of plants that scientists consider uncommon, rare or endangered on a regional, state or federal level. Such species include Oconee Bells (Shortia galacifolia), Swamp Pink (Helonias bullata), Broad-leaved Coreopsis (Coreopsis latifolia), French Broad Heartleaf (Hexastylis rhombiformis) and Pale Yellow Trillium (Trillium discolor).